Add some cosmopolitan flair with these manicure sets fashioned to look like ultra-chic purses! 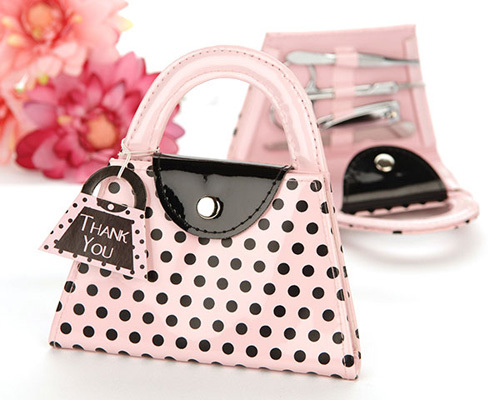 The 4 piece stainless steel set includes nail file, scissors, clippers, and tweezers and fits perfectly in the pink and black polka dot purse. A charming purse shaped thank you tag adds to the presentation.